I am being cheeky here. Let me tell you how you can avoid making the famous ‘Faux Amis’ in French. Have you heard about them. There are many of False Friends and I just love the idea of them now. Once I discovered more of Faux Amis I can avoid them when speaking French. Indeed, I am not talking about real people here! I am talking about the English – French words which exist in English language and in the French but mean something different. So it is very easy to get confused. At the beginning I got a big headache when trying to learn French and once i came across those Faux Amis, they are pretty tricky. So watch out! But don’t be discouraged with learning French. I have good news for you. 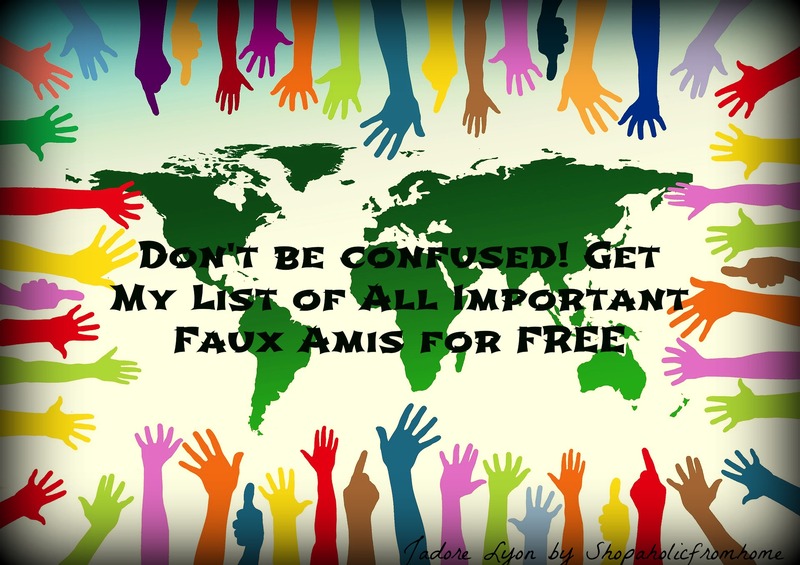 I made a Comprehensive LIst of All Important Faux Amis which you can get here for Free! Have a look and print out so you can have always with yourself! I, myself, have been really amazed and surprised by the existence of the Faux Amis…Did you know that the term “false friend “comes from the book of Maxime Kœssler and Jules Derocquigny. It was called Les Faux Amis ou les pièges du vocabulaire anglais and published in 1928 by Vuibert. The equivalent English expression is false friends. The existence of false friends is one of the causes of what is called franglais which is mixing French and English languages when speaking. When the French borrow some English terms when speaking and other way around. That created the basis for Faux Amis. So as you can imagine there are a lot of them (as English terms are very popular and because people always confuse things easily!) 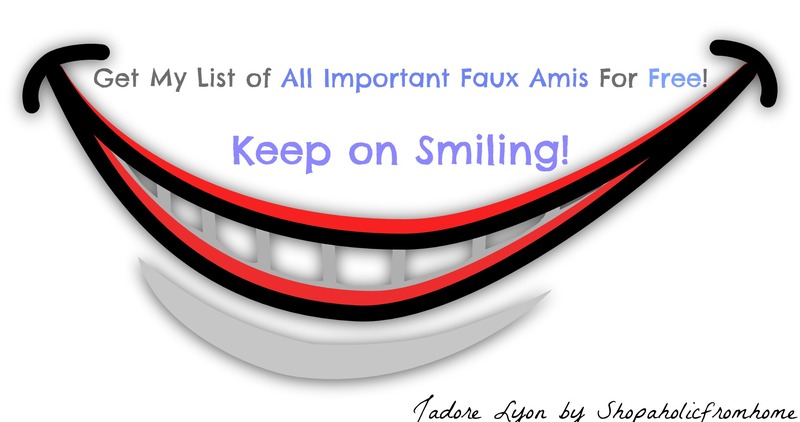 and there are so many opportunities to make Faux Amis…how to avoid them? 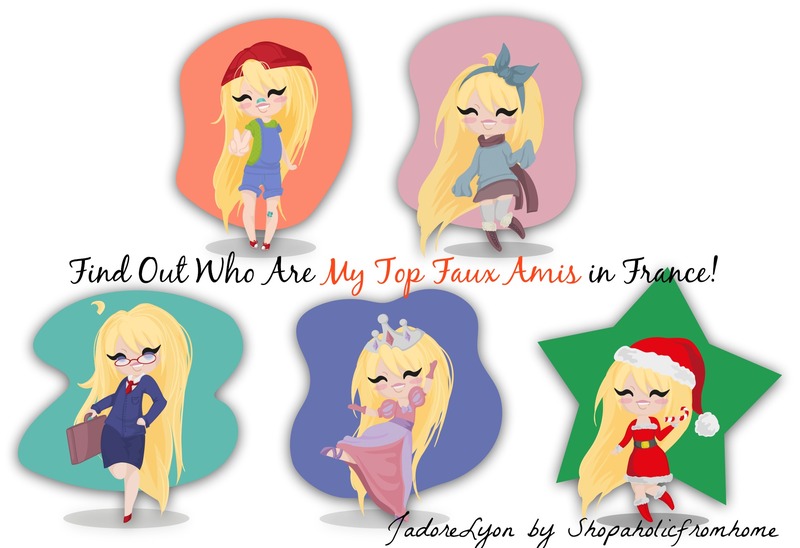 Well check out my Little Helper – The List Of All Important Faux Amis which I have made for myself, I found it useful and I want to share with you. Here it is for free. Do you like it? Let me know if you could add anything at all? And tell me if you have learned sth new today! I hope so! Great post, nice to see that someone shares the same enthusiasm about all the blogs out there! Keep up the good work! The information really amazing to read this is my first visit and please share this type of article it also provides information. And I would like to thanks for this information that I had been looking. The information you shared here is unique and informative which is very rear to see nowadays. Thank you for sharing this excellent information expects some additional in near destiny. You can refer or buy best essay writing service for perfect essays.